"We can guide you through every step of the process involved in securing registered Trade Mark and Design protection, leaving you free to focus on your business." Coming up with good brands or designs is one thing, but protecting them and maximising the return you get from them is a very different matter. That is why it pays to seek expert advice when it comes to safeguarding and managing your intellectual property. Our experienced team can help you avoid some of the legal pitfalls when choosing or developing a new brand and can advise you as to the best and most cost-effective way of protecting your brands and designs in the UK, Europe and worldwide. We can guide you through every step of the process involved in securing registered Trade Mark and Design protection, leaving you free to focus on your business. We also advise existing Trade Mark holders on managing their portfolio and protecting against infringements, both within the UK and internationally. With solicitors specialising in intellectual property law as well as a Chartered Trade Mark Attorney we can provide a complete service to clients wishing to protect, exploit and enforce their rights in the brands and designs they have developed. 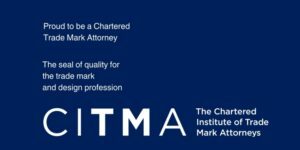 To find out more about what a Chartered Trade Mark Attorney like Ward Hadaway’s Bill Goodwin does and how their work could help your business, please click here for a video. North Yorkshire-based Harrogate Distillery, which produces WHITTAKER'S® gin, is to export its spirits to China after sealing a deal with a local distributor. Ward Hadaway is supporting Small Business Saturday by providing some top tips to help SMEs stay on the right track with so much uncertainty expected in the future. Ward Hadaway is urging North East businesses to take full advantage of international trade opportunities with the Department for International Trade (DIT). "Extremely professional, timely, business-focused and courteous"
"The work and advice we have received from the team at Ward Hadaway has made a significant contribution to how we leverage our commercial programmes worldwide." "It is absolutely right what they say, ‘you get what you pay for’ and ‘surround yourself with the best people’ because [Head of Intellectual Property] Alex [Shiel] is definitely up there with the best." "Strong on brand protection and exploitation issues. Well versed in the full range of trade mark issues, with particular emphasis on defending clients in opposition proceedings." "Significant trade mark expertise, handling invalidity, opposition and infringement litigation." "The team works closely with colleagues in the firm's Leeds and Manchester offices to provide a comprehensive service to its national client base."